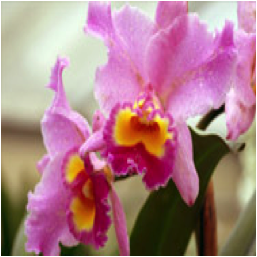 Orchid plants are available in many different colors and styles. Even though there are many orchids varieties, only a few are readily available commercially. Orchids thrive on ‘neglect’, over watering is usually the cause of orchid plants not doing well. When orchid plants are flowering, weekly to 10 day watering intervals work well, really depending on humidity and temperature of the home it is growing in. Orchid plants that are not flowering, can go for a number of weeks without watering. 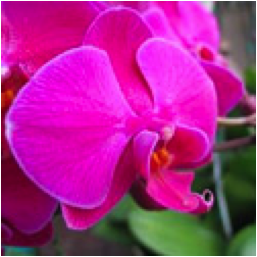 During the regular growing season, orchids should be fertilized with an orchid fertilizer, water soluble and preferably organic. Very easy to care for and available in a wide variety of beautiful colors, ranging from white to pinks, purples and yellows. The dendrobium orchid likes warmer environment and watering from 8 to 10 days, depending on humidity and temperature of environment. 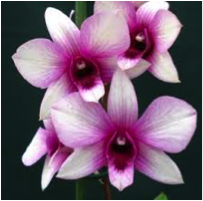 Dendrobium orchid plants are not as widely available as other orchids types, but are becoming a very prominent, good value, cut flower that lasts very well. These beautiful plants are truly stunning and are still considered a special gift. Elegant and timeless best describes the look of each individual plant. While no two are alike, it is truly a statement of opulence when displayed. They are available in a wide range of color, with the white color still the most popular and elegant. These stunningly beautiful plants are very readily available, all year around. They love to be ‘neglected’, many people loving theirs to death! They have no fragrance and blooms usually last from 3 to 6 months with the proper care. Very exotic in nature but not readily available. This orchid also does not last as long as other orchids. A few variety even have a soft fragrance similar to that of a hyacinth. Orchids do not like to be overwatered. When flowering, watering every 8-10 days is recommended. They do not like to sit in water, prefer to have their roots dry. As many orchids grow in trees in their natural habitat, they do like humidity and only medium light, as well as warmer temperatures. Dendrobiums, Cattleyas and Oncidiums enjoy bright indirect light. Phalaenopsis, Paphiopedilum, and Miltonias prefer more shade. They also grow easily near a window or on a porch. The only orchid plants that love lots of water, are Vandas and Ascocendas; increase watering to 2 or 3 times a week. They enjoy bright indirect light. Orchids like repotting every two years or when they have grown out of the pot. They prefer growing roots in orchid bark or moss. Do not use soil for repotting, as the the roots are only for support, rather than transporting nutrients to the foliage and flowers.